​A compulsory 15 minute wait time after every vaccination. ​Free posters advertising the vaccination dates. 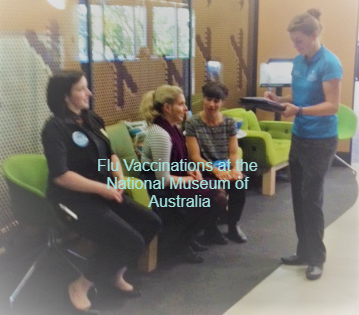 Capital Health Care has been providing affordable flu vaccination services Australia wide since 1996. We can provide vaccinations for 20 to 5000+ employees. "We provide a nurse and a bookings officer onsite to free up your HR team". The majority of vaccine providers use a single nurse leaving nurses stressed and undervalued. Having two of our staff onsite frees up your HR team for the entire vaccination period. Please consider this when comparing quotes, paying an extra $1 per person will be well worth it. We make sure every employee receiving a vaccination waits a compulsory 15 minutes after the vaccination has been administered. In the unlikely event of an anaphylactic reaction we want your employees close by, not sitting in there office on the next floor. The photo on the left is one of our staff managing bookings and the waiting period. Scroll down to request more information about our 2019 vaccination program. This last button details full product information for this years vaccinations for your HR file. Not for your employees unless requested. We send this information which is attached to the booking system. 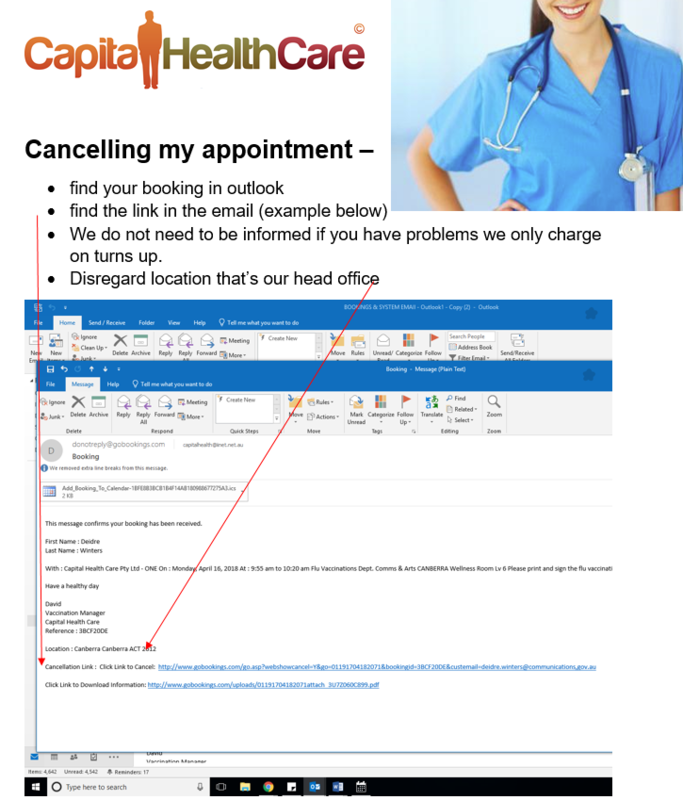 We also have additional copies onsite should your staff forget their form. There is no need to send this information, leave it to us.